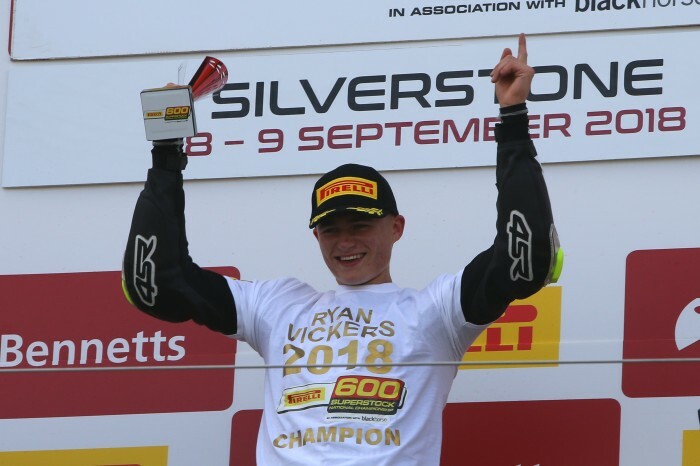 Ryan Vickers clinched the Pirelli National Superstock 600 championship with a win this morning after early race leader Rory Skinner crashed out. 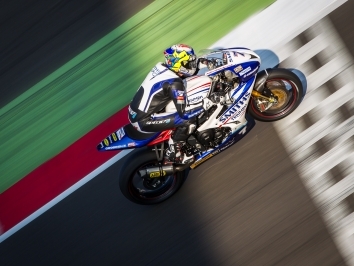 The Mototechniks Yamaha rider only needed to finish fourth to secure the title today, but went out on top following Scotsman Skinner’s exit from the lead 10 laps in. 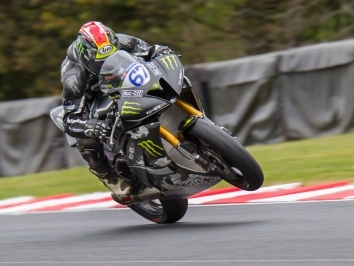 While it was Vickers who nabbed the holeshot, pole-sitter Skinner had the lead straight back by the time the pack hit Maggotts as he and the series leader stretched over five seconds on the fight for third by the end of lap five. ​TJ Toms had scythed his way to third, but crashed at Becketts and handed the podium battle straight back to a gaggle of riders including Ben Luxton, Korie McGreevy, Aaron Clarke, Milo Ward and Joe Sheldon-Shaw. Although at the front it looked like the fight for victory might go down to the wire, Skinner threw away any chance of a first win in class after binning his Kircaldy Kawasaki at Copse, handing Vickers 25 points and the the championship two rounds early. 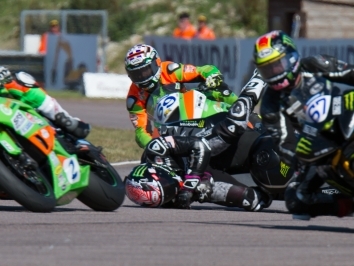 Meanwhile, the fight for second and third was a six-horse race between Clarke, McGreevy, Ward, Sheldon-Shaw, Luxton and Aaron Clifford, but a last-ditch effort gave Clifford the runner-up spot just 0.121s ahead of Century Racing’s McGreevy.